This design features a fourth generation programmable femtoclock that provides reference frequencies to replace crystals and SAW oscillators in high-performance applications. It is programmable through I2C interface. It has four selectable LVPECL or LVDS via I2C while its FemtoClock NG VCO ranges between 1.9GHz to 2.55GHz. It also meets the standard interface requirements of PCI Express (2.5Gb/s), Gen 2 (5Gb/s), and Gen 3 (8Gb/s) jitter that are low in both clock synthesizers and phase-locked oscillators. The design is comprised of few components that can be divided into three main areas. First, the I2C interface area that uses optoisolator to ensure the compatibility of the external I2C device to the main clock frequency synthesizer. 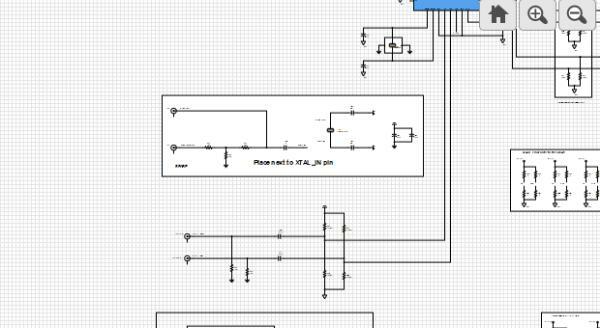 Second, the main part where the IDT8T49N004I clock generator generates the clock with selectable LVDS or LVPECL outputs. Lastly, the power supply of the device uses a low noise Low DropOut (LDO) regulator that is optimized for fast transient response. It also makes use of reference diodes and capacitor filters that secure the system from possible noise produced from the supply. The design is applicable to several applications that requires reference clock especially network processors and Application-Specific Integrated Circuits (ASICs). It can improve the overall performance of the device since it makes the device more immune to noise and other undesired system behavior.